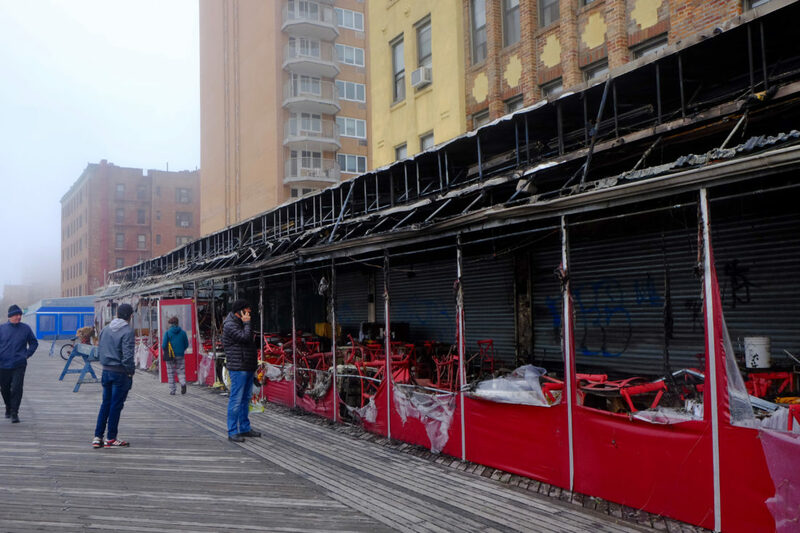 BRIGHTON BEACH – A two-alarm fire ripped through a Brighton Beach restaurant from underneath the boardwalk, injuring one firefighter and causing heavy damage to the establishment and to the wooden planks, fire officials said. 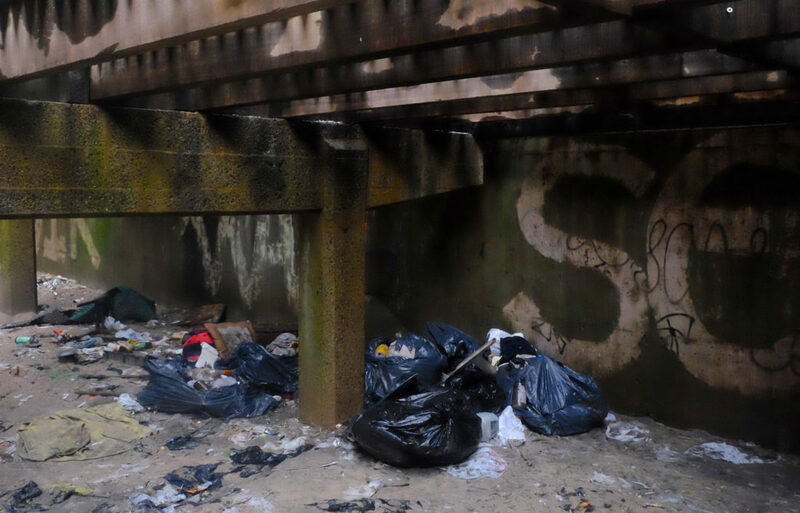 Restaurant owners and residents are blaming the city, notably the Parks Department and Community Board 13 for failing to keep homeless people from living under the Boardwalk and inadequate cleaning of trash accumulating under it. Officials admit that this was not the first fire of its type. 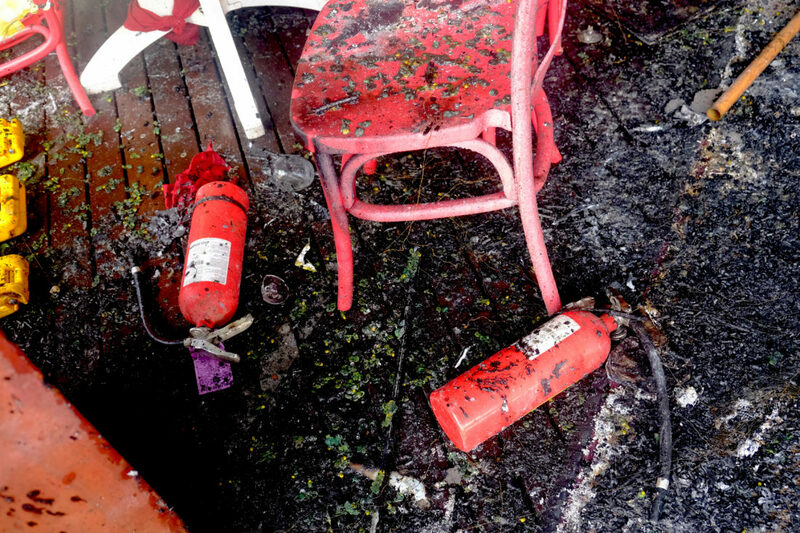 Past fires had caused serious damage to the boardwalk restaurants several times before over the years. Officials from Community Board 13 say this is an ongoing problem as attempts to secure areas under the boardwalk have been difficult as homeless people continue to break through fencing and gates to find shelter. The fire broke out at about 9:50 p.m. underneath the Boardwalk between Brighton 6th and 5th Street with Tatiana’s Restaurant’s outdoor seating enclosure on top of it. The restaurant was still occupied at the time and as the manager called the fire department, workers attempted to put the fire out with extinguishers. 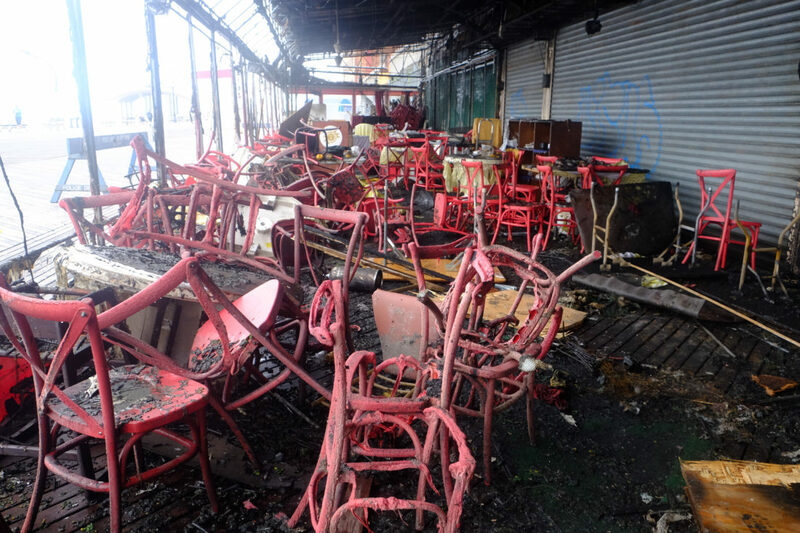 As patrons fled the flames, some workers tried to stop the spreading flames that were already catching the plastic tables and enclosure – eventually forcing them to retreat. 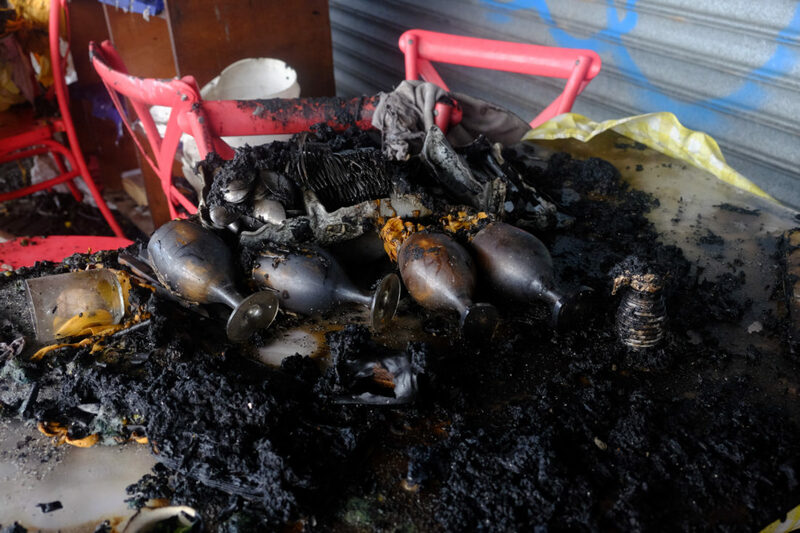 The Brighton Beach Boardwalk burned last night, causing heavy damage. Fire officials said the on-scene commander immediately called a second alarm, bringing in 75 firefighters because of the threat to the occupied buildings above the restaurant. A live broadcast of the fire could be seen on the Citizen App, where flames leaped into the sky nearly 30 feet as highly flammable plastics burned like gasoline, firefighters said. 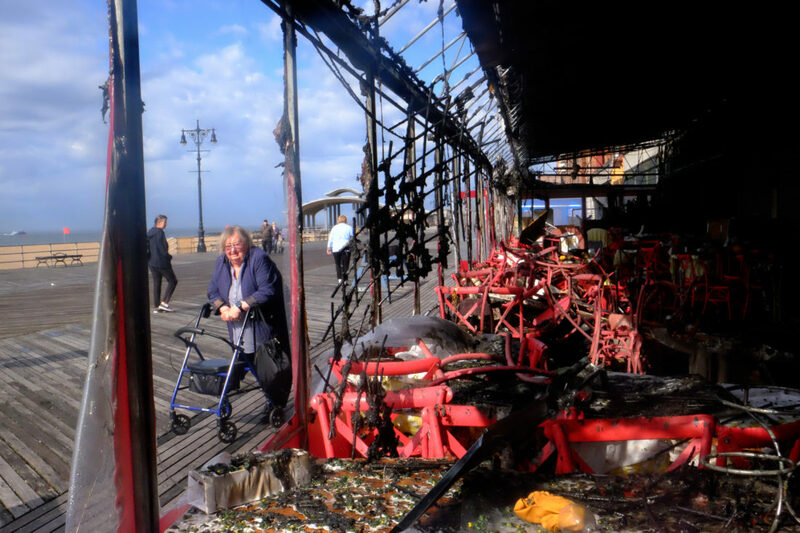 The fire was brought under control about an hour later, but by then, the blaze had destroyed the entire outdoor seating area, caused some damage to the interior and left a gapping hole in the boardwalk. Residents walking by the next day were shaking their heads, many complaining that this was a “common problem.” Boris Umanov, a resident of Brighton Beach who eats at Tatiana’s, a Russian style restaurant, said it’s not the first fire to hit the restaurant row. 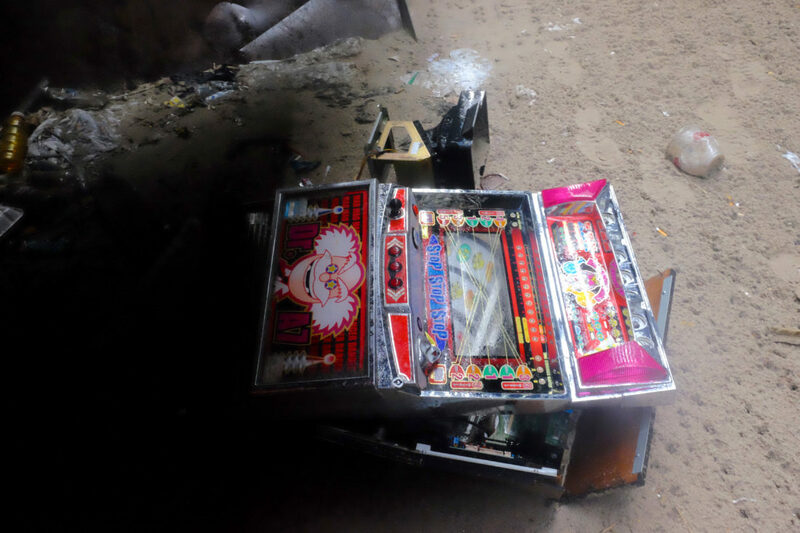 A gaping hole in the floor leads to the source of the fire under the Boardwalk. Todd Maisel/Bklyner. Fire officials confirmed that the fire started under the Boardwalk, apparently sparked by a discarded cigarette. 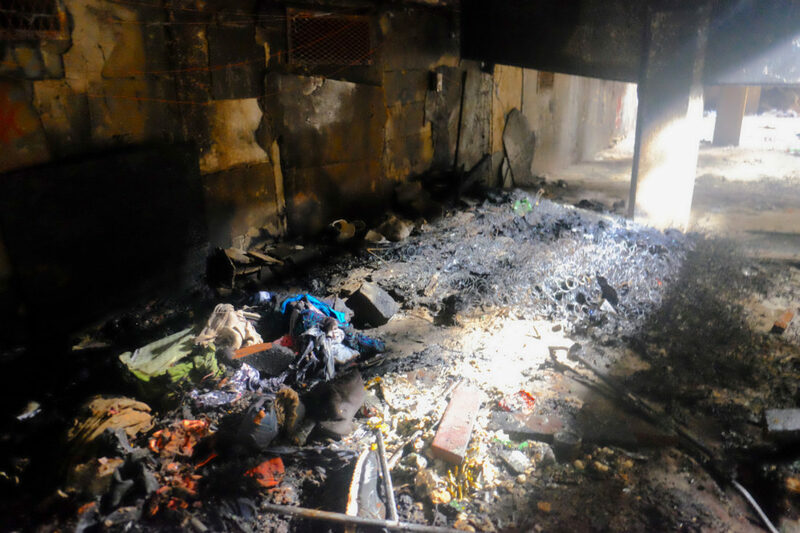 The fire is still under investigation, an official said. Signs indicate “no trespassing” Todd Maisel/Bklyner. 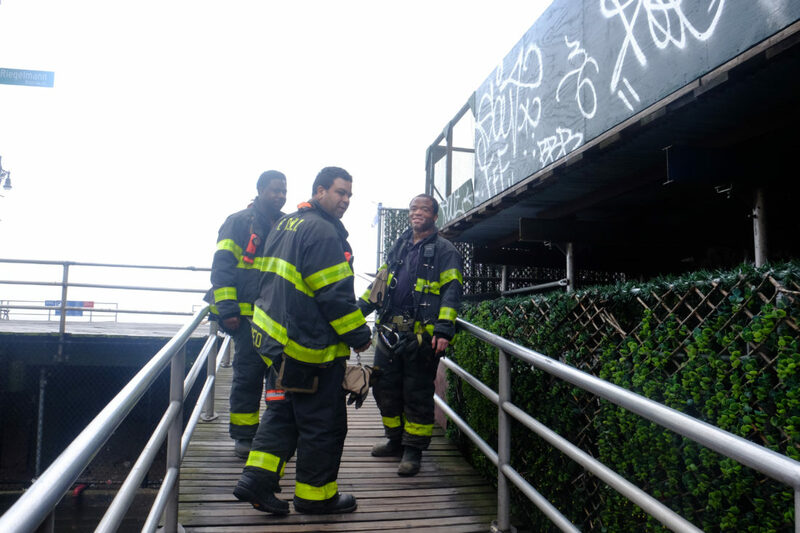 A more careful investigation by the Bklyner found that a gate was open on Brighton 6th Street and we were able to see what was under the Boardwalk. 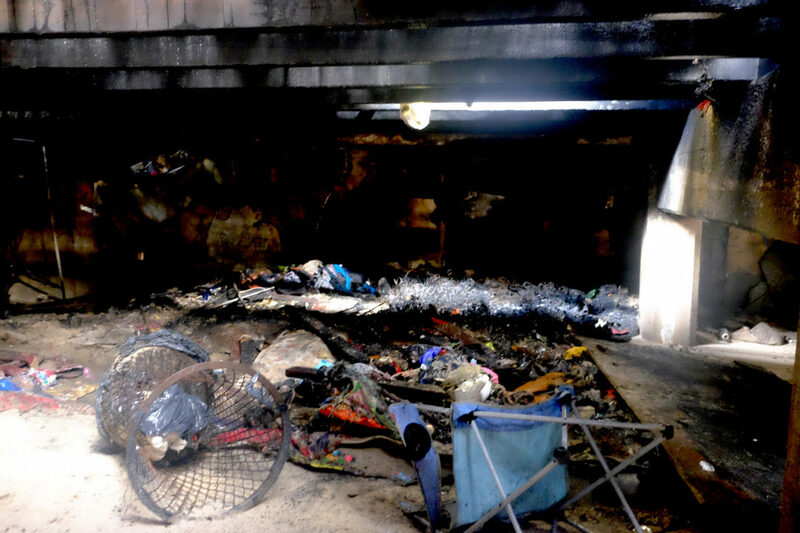 Directly under Tatiana’s was the remains of a box spring and mattress, the springs still visible in a large pile of burnt debris, made up of old clothing and trash bags. Further along under the boardwalk, black bags of trash and clothing were piled against the building lines. 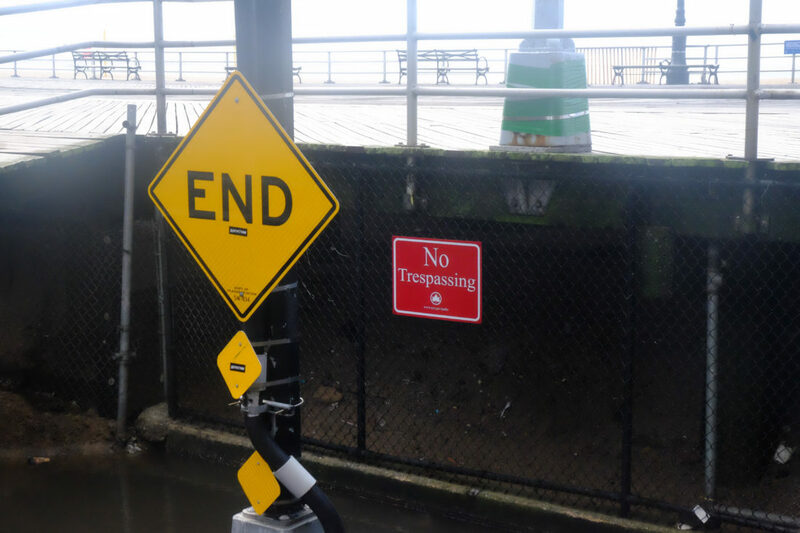 The 60th Precinct does periodic spot checks under the Boardwalk and removes those who trespass, but it is a constant problem to monitor areas from Brighton Beach to the end of Coney Island, covering nearly 3 miles of specially obtained planks. 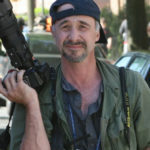 Marks said the homeless sleep on benches, in building lobbies and on the streets during the warmer weather, but colder, inclement weather attracts them under the boardwalk. Firefighters remain on the scene after the fire. Todd Maisel/Bklyner. The Parks Department had no comment as of press time. There have been numerous fires under the boardwalk over the years. Most notable, on September 19, 2003, a four-alarm blaze started under Boardwalk gutted the same restaurant and injured 20 people in the building and leaving many homeless. On February 12, 1997, three homeless people were killed in a shanty fire only two blocks away from this fire. This is like the 3rd or 4th time it burns down. It’s an insurance scam by the owners. How many time does this place has to burn down before someone realizes. You have problems with homeless people living under there well instal fencing under the board walk directly under the permitter of the restaurant. There are other restaurants that are located right next to this one and for some reason they have never burn down. hahaha exactly….the homeless are a problem, old wood boards are a problem as well.